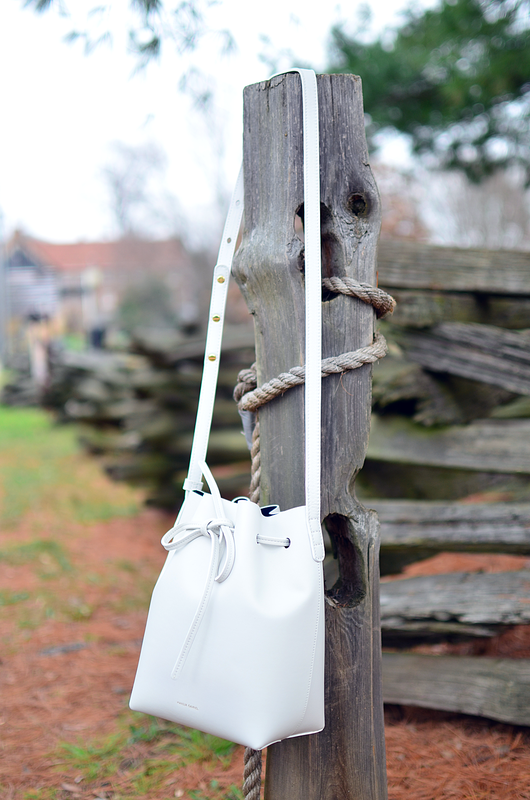 The perfect white bag for my perfect white heels is here! 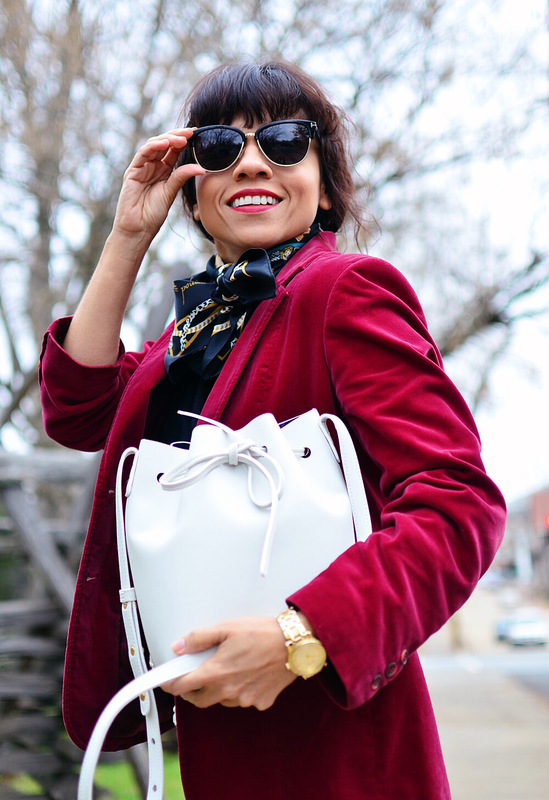 I have to confess that this bag has been on my wish list for a while now. My wish became reality this Christmas, thanks to my dear boyfriend that made it happen for me. This is my first time using this bag and as you can see, I'm doing the matchy matchy thing with my shoes. I'm also wearing, for the first time, this vintage blazer that I found recently at a local shop, which, in my opinion, looks terrific with black and army green. As soon as the bag arrived, I gave it (twice) a thick coat of leather protector as I do with all my leather bags and shoes. 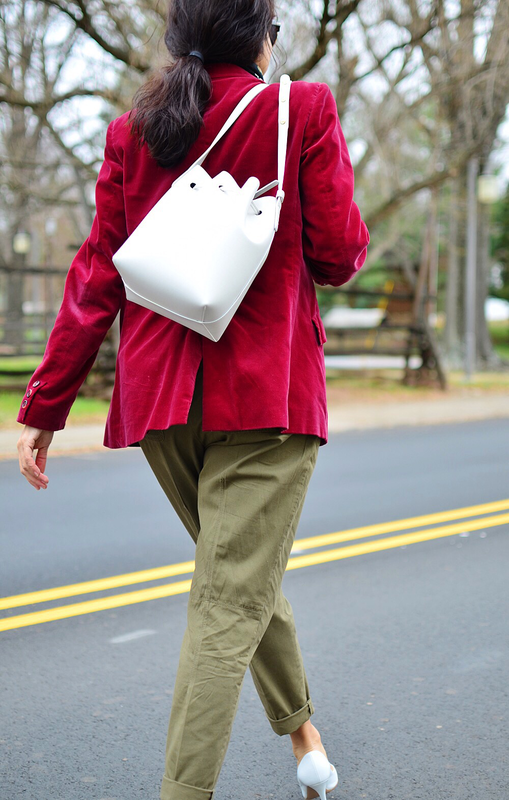 YES, it's perfectly ok to match the color of your bag with your shoes! Many women love the idea of the this controversial matchy- matchy combo, but they are too afraid to commit. In my opinion, you shouldn't let these nonsense rules ruin your fun and your sense of style. Go ahead, give the world a piece of your coordinated self. Pumps: Gianvito Rossi. Available here. 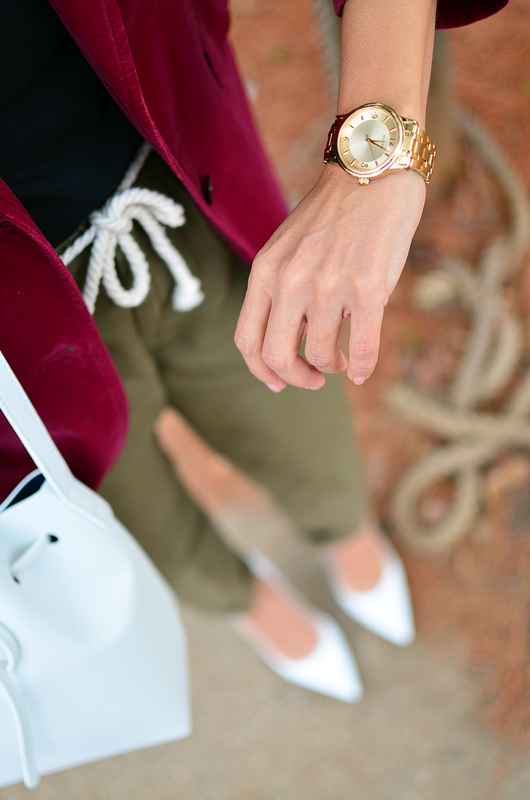 Blazer: Vintage. See this similar version. Scarf: H&M (old). An alternative style here. Muchas gracias!! Feliz Navidad a ti!! !